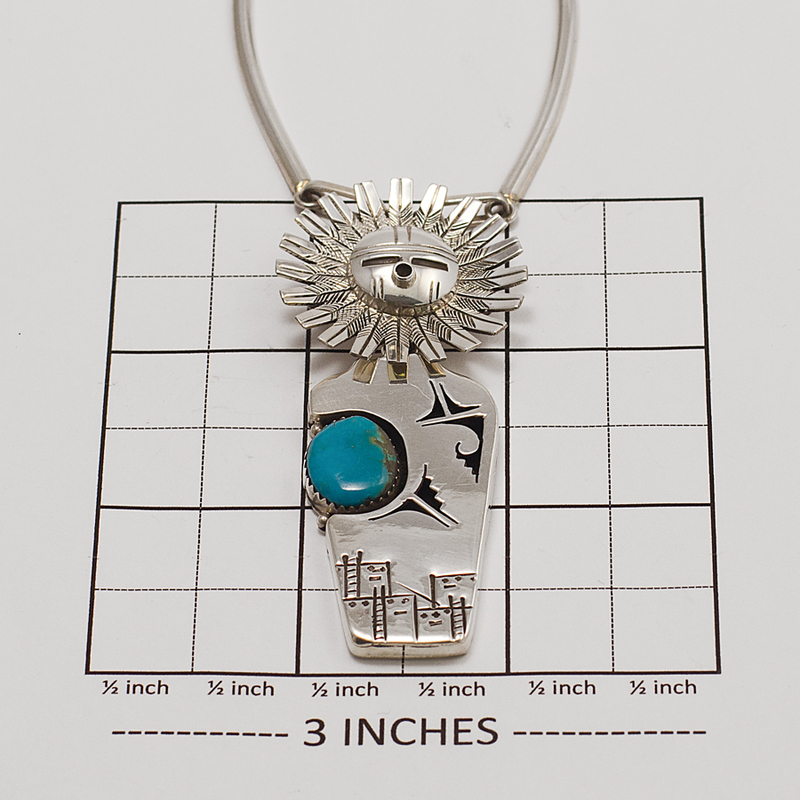 Navajo Nelson Morgan is well known for his intricate kachina jewelry. This sterling silver necklace showcases a classic sunface figure wearing a full headdress of eagle feathers. The contemporary lines of the body feature a shadowbox geometric design and pueblo stamping with a rich blue-green turquoise stone – we’re torn between Blue Diamond and Royston, but it’s beautiful indeed. The surprise here is that the kachina pendant is attached to the chain with a shepherd’s hook, and a pin is snuggled right beneath. You can wear this piece many different ways! Hallmarked with Nelson’s “NM” and feather, and sterling. 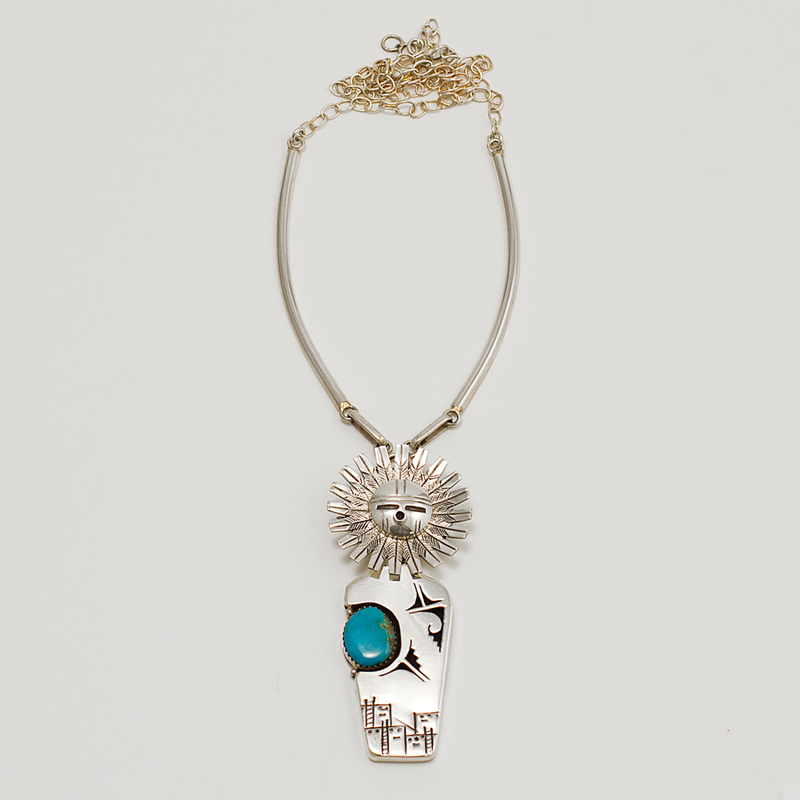 Nelson Morgan Silver Sunface Necklace glows with bright blue and Sterling Silver. Handmade by a skilled Native American Silversmith of the Navajo tribe.